My little Roo Roo gives the Ruffwear Front Range Harness two paws up. Once the harness is on he runs to the door wagging his entire backside in eager anticipation of the adventures to come. 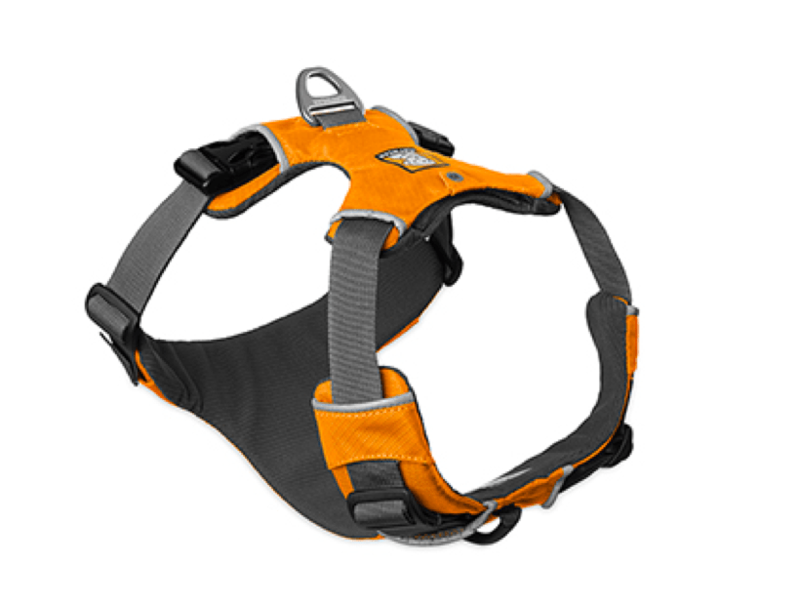 The Front Range Harness is perfect for everyday adventures be it a walk around the block or a jaunt on the trails. The harness is easy to get on and super easy to adjust and there are four points of adjustment ensuring a perfect fit. The harness offers two leash attachment points – one on the back for everyday walks and one on the chest to reduce pulling and offer more control. Roo spends quite a bit of time off leash and the back leash point makes it easy to clip into and out of as we go. The extra padding around the chest and belly helps disperse the load and seems to make the harness comfortable. Little Roo has no problem falling asleep after a long run still wearing the harness so it must be comfortable. Kangaroo the Dog is a 28 pound miniature Australian Shepherd and the XS fits him perfectly. He has a 22 inch girth which is just on the cusp of the XS and S and the nice folks at Ruffwear suggested sizing down. Only regret is I got the harness in black so it is really hard to see on him with all of his fluff. The Ruffwear Front Range Harness allows for plenty of unrestricted fun. The harness also has reflective trim adding to low-light visibility. This is nice for early morning headlamp runs making him easy to spot running ahead of me. For the times I’ve had to put him on leash cross-country skiing, the Front Range has held him securely with no choking whatsoever. Really no complaints and about a zillion five start reviews all over the Internets so you can’t go wrong with the Front Range Harness. Six months of aggressive wear and the harness still looks as good as new! 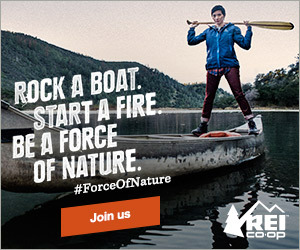 The Front Range has had no shortage of adventure! Roo really, really wants to be a Ruffwear model!